In this follow-up feature to his previous article in issue 120, Chris Frishmuth talks about some of his VR experiences with simulators that already support the technology. In this flight adventure, Peter Stark takes us on three historic routes using what is arguably one of the most iconic jetliners ever built, the Boeing 727. 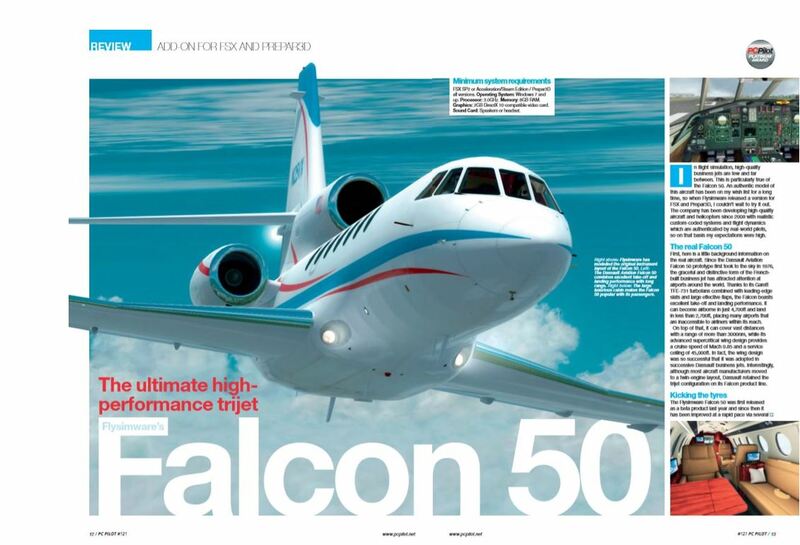 Flysimware’s Falcon 50 – The ultimate high-performance trijet. Leonardo SH’s Fly the Maddog X – A true study sim. Orbx’s TrueEarth GB North for X-Plane – Orbx completes the British landscape. Aerosoft’s Airport Bergamo XP – Milan’s third airport. Leatherneck Simulations’ DCS: Christen Eagle II – An aerobatic delight! Just Flight’s PA28-181 Archer III – Just Flight’s Archer hits its target. Vertx Simulation’s Diamond DA62 – Return of a popular developer. PLUS: News, tutorials, hints & tips, features, and much more! 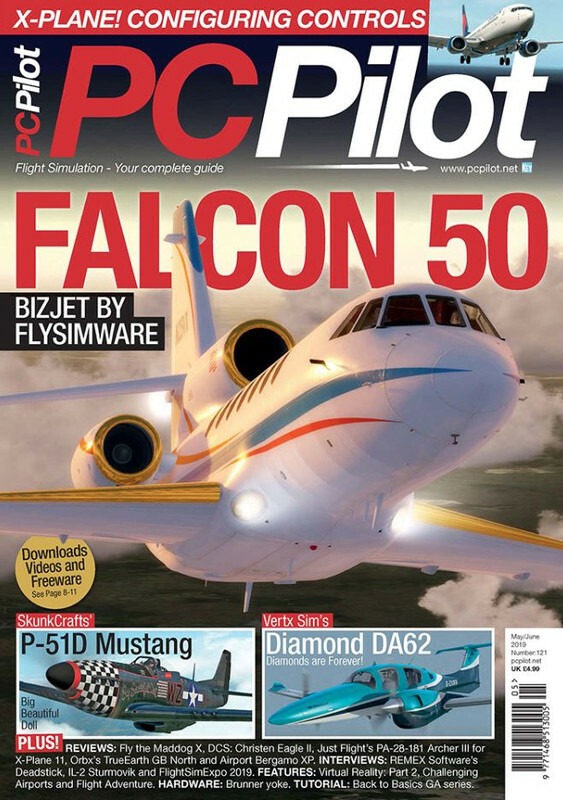 PC Pilot March/April issue is AVAILABLE NOW for just £4.99 from the Key Online Shop. Alternatively, you can purchase your copy from WHSmith, any other leading newsagent or download your digital copy here. Last edited by UPDATES; 18th April 2019, 10:09.